House Tipster exclusively spoke with the interior designer to learn about her bold black and white marble tile line. 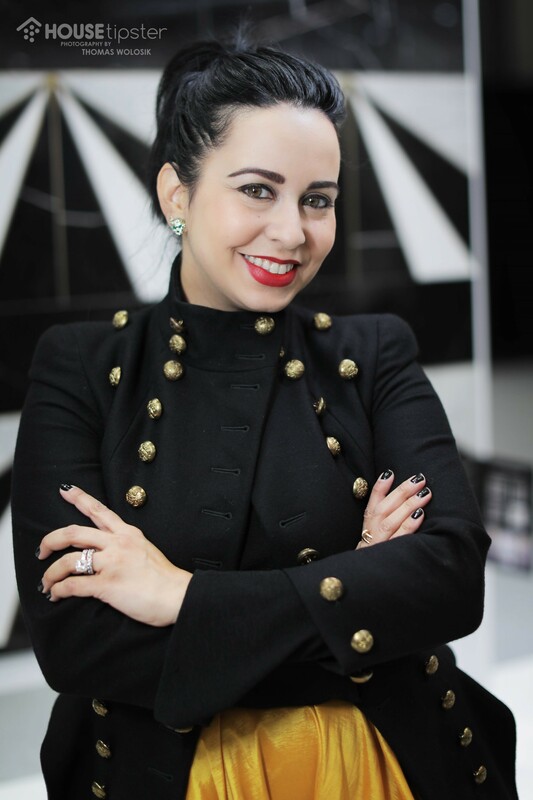 Interior designer Vanessa Deleon is proudly celebrating the launch of Art Deco, her bold new TileBar collaboration. This latest collection is composed of graphic black and white marble tiles – created with Nero Marquina, White Carrara, and Thassos marble – with striking brass inlays that blend together a variety of inspirations. 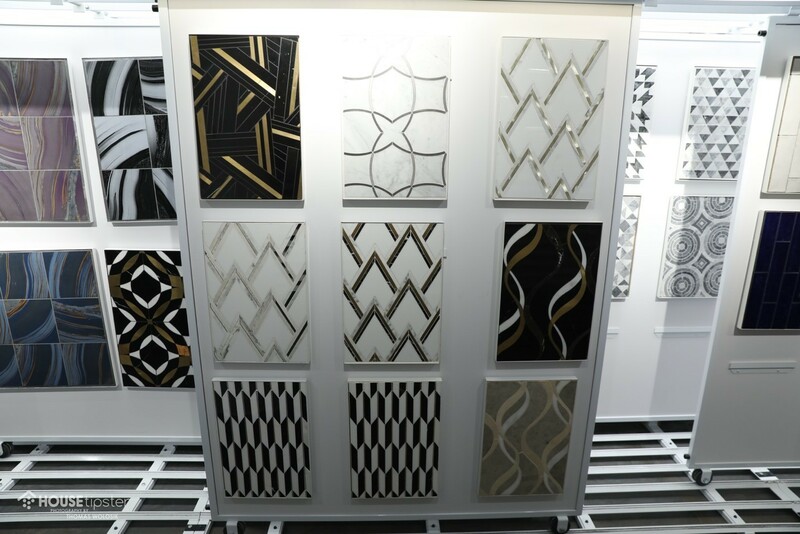 Vanessa Deleon launches Art Deco collection with TileBar at BDNY 2018. Vanessa is inspired by a mix of international and historical influences for these designs. Of course, working in New York City also gives Vanessa plenty of design and color inspiration, especially when it comes to Art Deco historical influence. In her TileBar line, she is blending classic building design staples with freshly modern updates. When working with bold tiling – whether on a floor, on the walls, or as a room’s focal point – there are so many ways to work in patterns and contrasting colors. 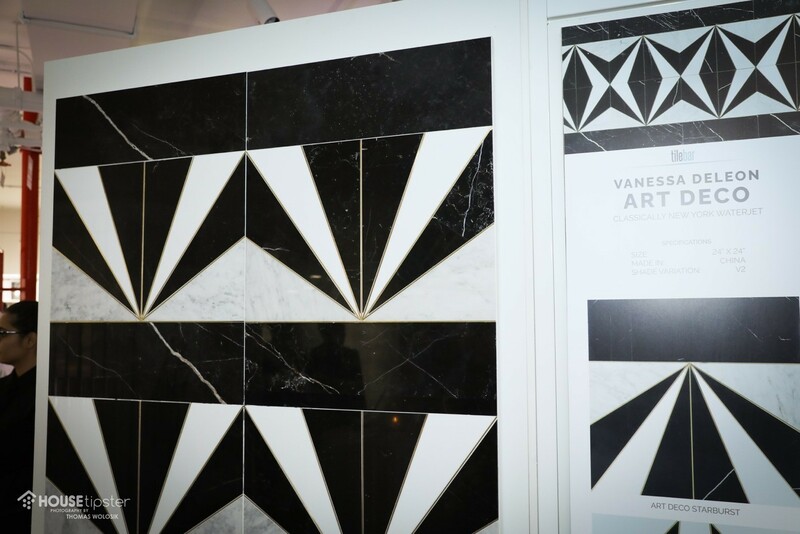 Vanessa recommends embracing the drama of geometrical designs. Vanessa has a long-standing relationship with the team at TileBar, after previously working with the brand on her successful VZAG tile collection. Through these collaborations and more of her design projects, Vanessa has learned the importance of creating pieces that suit her customers, but still let her own personal aesthetic shine. 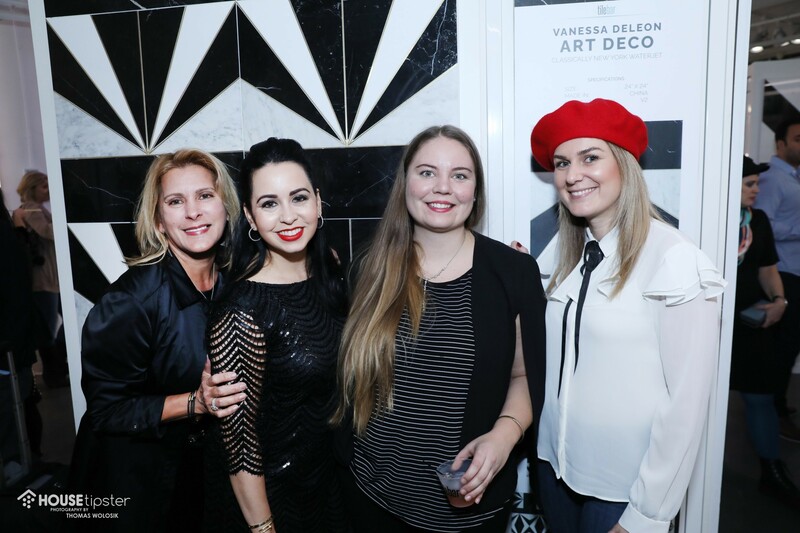 Vanessa Deleon celebrates her latest TileBar collaboration at the brand’s NYC showroom opening.